IALA Secretary-General Francis Zachariae formally concluded the 19th IALA Conference, held on the theme of “A New Era for Marine Aids to Navigation in a Connected World” in Incheon, Republic of Korea from 28 May to 2 June 2018, with a summary of the main outcomes relating to the latest developments in aids to navigation and vessel traffic services technology. Click here for the Conference Summary, the major themes of which will inform IALA’s technical work in the coming years. 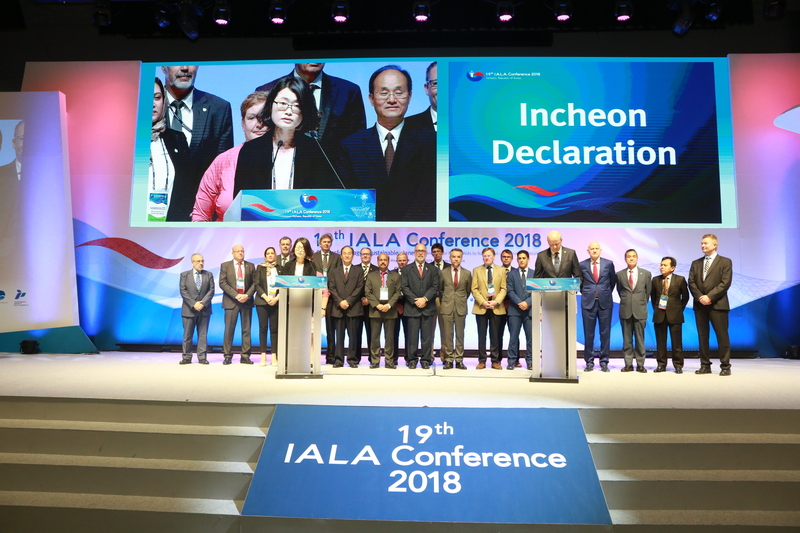 In addition, an important legacy of the Conference is the Incheon Declaration, an initiative of the Korean Ministry of Oceans and Fisheries and supported by the IALA motto “Safe Voyages, Sustainable Planet”. The first-ever World Lighthouse Heritage Exhibition was successfully staged alongside the Conference and the Industrial Members Exhibition. Click here for the Incheon Declaration on Lighthouses as Cultural Heritage, which sets out a vision for the conservation and sustainable management of historical lighthouses as cultural heritage.